Our family loves Christmas movies. We try and sit down together and watch a fun Christmas movie at least once a week during the holiday season. We snuggle up with a blanket, popcorn, and usually a streaming movie. Here are our favorite Christmas movies on Netflix streaming. White Christmas (G) - This old time favorite from the 1950's is considered a classic. Two WWII buddies fall for two sisters and enust the help of their friends to honor their former commanding officer. Starring Bing Crosby, Rosemary Clooney, and Danny Kay. 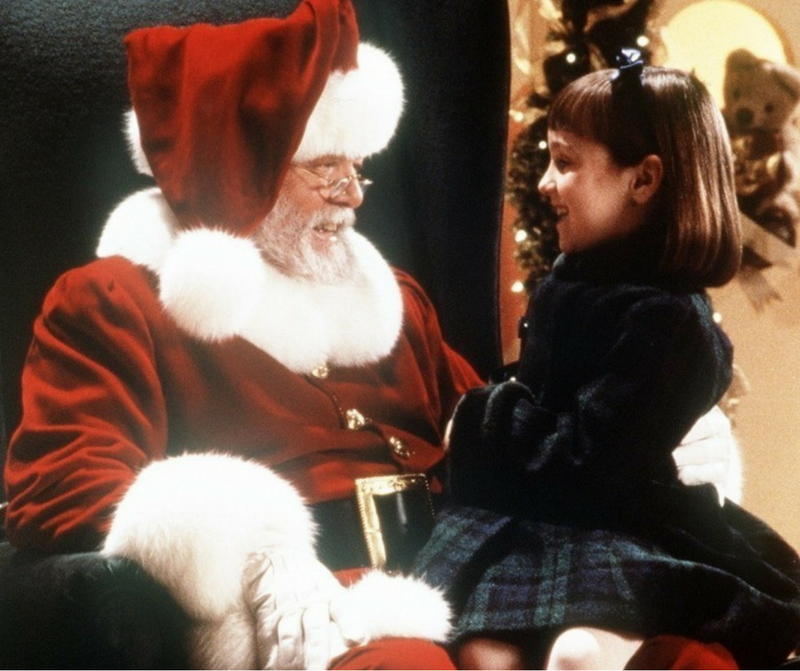 Miracle on 34th Street (G) - This charming reboot of the 1947 classic is a heart warmer. When Starring Elizabeth Perkins, Dylan McDermott and a young Mara Wilson. Wilson as Susan and Richard Attenborough as Santa Claus steal the show. Christmas With the Kranks (PG) - Tim Allen and Jamie Curtis in a hilarious take on what happens when Mr . and Mrs. Krank attempt to skip Christmas. We haven't watched this in a while, not sure if it is suitable for very young ones - but probably good for preteens and up. Mickey's Once Upon a Christmas (G) - Kelsey Grammar narrates this modern Disney classic. The Gift of the Magi with a Mickey spin and two other stories that a perfect for kids and adults who love Disney. Journey to The Christmas Star (G) - This sweet and little known Norwegian christmas movie follows a young 14 year old girl named sonja as she seeks to find a missing princess and along the way finds herself. Snow Day (PG) - What happens when the town shuts down for a snow day and all the trouble kids can get into along the way. We haven't seen this one yet, but we are adding it to our Christmas movie list for this year. Joseph and Mary (TV-PG) - A little bit of twist on the nativity Christmas story in this faith-based Christmas starring Kevin Sorbo. 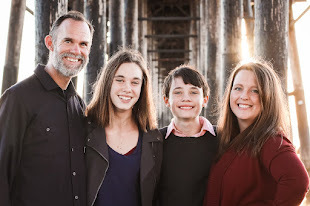 The Christmas Chronicles (TV-PG) - Kurt Russell stars in this Netflix Original where a brother and sister are tasked with saving Christmas after Santa's sleigh crashes. How The Grinch Stole Christmas (PG) - Jim Carrey's Grinch is a classic. This live action telling on the famous Christmas story was made in the year 2000 and stands the test of time and features one of my favorite Christmas songs "Where are you, Christmas?". Santa Buddies (G) - The air bud franchise of films released this cute Christmas version in 2009. While definitely high on the cheese factor, it's a fun holiday movie for family movie night. 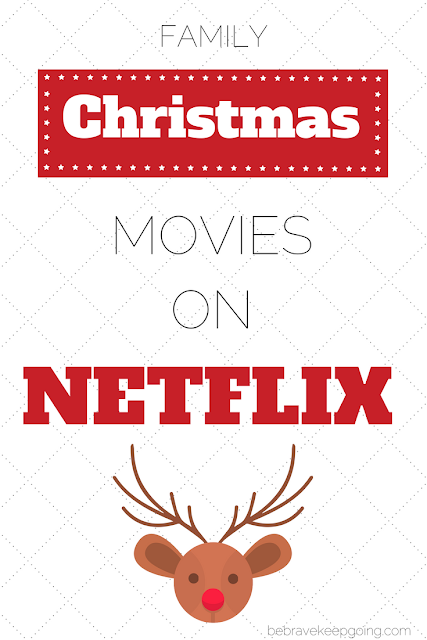 Did I miss any of your favorite Christmas movies on Netflix? Which ones would you add to this list?